The Indian Railways is creating a buzz with its "Plan Bee" to tackle a mammoth problem at a meagre cost: It has installed devices which mimic the humming of a swarm of bees to keep elephants off the tracks to avert accidents. The Indian Railways on Friday said that its "Plan Bee", launched in November last year to stop elephants from being hit by speeding trains in the Northeast Frontier Railways (NFR), has been a great success as the number of casualties has gone down drastically. The idea to use the buzz of bees as a deterrent to keep elephants away from the tracks came after the Divisional Railway Manager (DRM) of Assam's Ranigya Station suggested that the elephants can be distracted by some particular sound or frequency when a train is passing through the elephant corridor. "The idea was then discussed with the Divisional Forest Officer (DFO) in Assam's Tezpur, who suggested that certain deterrents like beehive or amplified honey bee sound can be explored," an official of the Indian Railways said on the condition of anonymity. Based on this idea, an instrument, costing just Rs 2,000, was built that generated the high, continuous buzzing of honey bees that can go beyond 300 to 400 meters. "The device amplifies the buzz of swarming honeybees, which is considered as a natural nemesis of elephants and is audible to elephants 600 meters away and thus helps them in keeping away from the tracks," the official said. However, the first testing of the device failed as it was done with a pet elephant. "The second testing of the device in the Phulbari Tea Estate near Rangapara in Assam was successful. The third testing of the device in front of the forest officials was also successful," the official said. After the success of the instrument, it was first installed between the Azara-Kamakhya stations in Assam and in its first month about five probable elephant-train accidents were averted, he said. 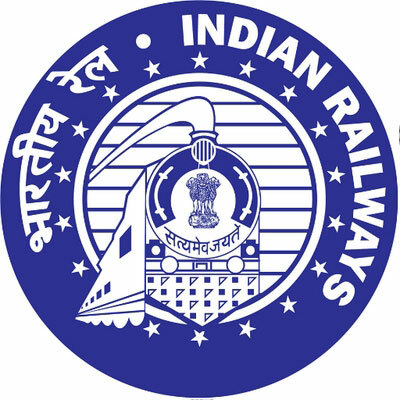 Currently, about 11 such devices have been installed by the railways in the elephant corridor of the NFR division. The installation of these devices has also resulted in protecting the railway infrastructure in the area. According to the railway official, beside this device, the Indian Railways have taken a lot of measures to avert elephant mishaps with speeding trains, including the speed restriction between 9 p.m. to 7 a.m.
At least four elephants died after being hit by the Howrah-Mumbai Express in Jharsuguda district of Odisha in April this year. Railway Minister Piyush Goyal on Friday also shared a minute-long video showing the device that amplifies the buzz of swarming honeybees.